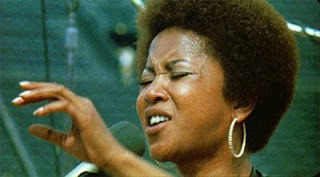 Born in 1940 in Chicago, most of Mavis Staples' career has been as lead singer for the Staple Singers. She first recorded solo for Stax subsidiary Volt in 1969. Subsequent efforts included a Curtis Mayfield-produced soundtrack on Curtom, a disappointing nod to disco for Warner in 1979, a misguided stab at electro-pop with Holland-Dozier-Holland in 1984, and an uneven album for Paisley Park. Staples has a rich contralto voice that has neither the range of Aretha Franklin nor the power of Patti LaBelle. Her otherworldly power comes instead from a masterful command of phrasing and a deep-seated sensuality expressed through timbre manipulation. Both the Staple Singers and Mavis found fresh audiences stemming from their participation on the CD Rhythm Country and Blues, and in 1996 she issued Spirituals & Gospel: Dedicated to Mahalia Jackson. Her next recording project didn't land for another eight years, although Have a Little Faith on Alligator became her highest-profile release in years. We'll Never Turn Back appeared three years later in 2007.
b. Aretha Louise Franklin, 25th March 1942, Memphis, Tennessee, U.S.A.
Aretha Franklin's roots are purely gospel based. 12" : Who's Zoomin Who ?